Karbonn k9 keypad solution and keypad ways, this topic is about the Karbonn K9 Keypad hardware solution for you. If the phone is ON and not working the keypad, even one key also not working then this topic will help you to find out the solution for it. Karbonn K9 Only switch ON then No key work, in this case this process is tested and working fine. So if you have same problem, karbonn k9 keypad problem then follow the below steps. Open the mobile and check the charging connector if it's damaged then just change it, your problem will solve. 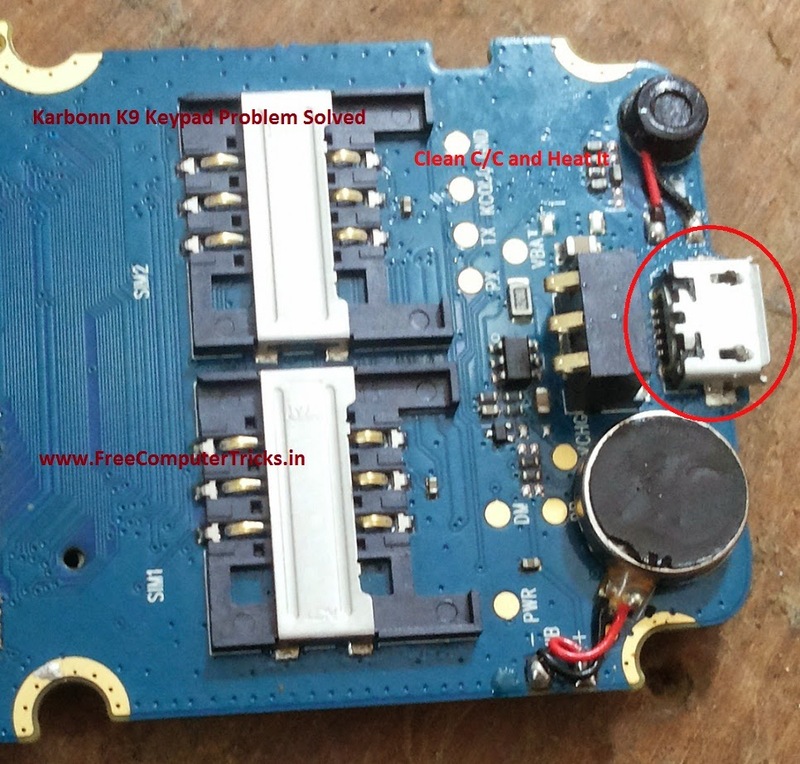 If the Charging Connector C/C is fine then clean the C/C area and just heat the C/C area, your keypad problem will solve for Karbonn K9. Note: Don't over heat the board and this process will help, if no key is working on the Karbonn K9 (tested), in other case you can try. thank you bhai work 100% .